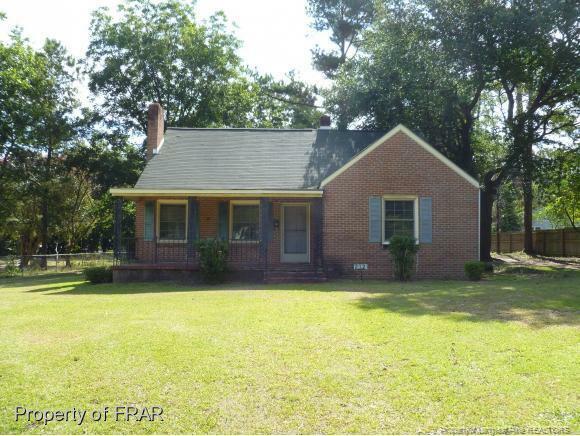 NICE LARGE LOT IN RAEFORD CITY LIMITS. HOME HAS LOTS OF CHARM AND LOTS OF POTENTIAL. HARDWOOD FLOORS. SUNROOM. MUDROOM. LARGE LIVING ROOM WITH FIREPLACE. FORMAL DINING. OUTSIDE STORAGE. CLOSE TO DOWNTOWN, SCHOOLS, AND SHOPPING. CONVENIENT TO FORT BRAGG, FAYETTEVILLE, SOUTHERN PINES, AND HOSPITALS. NEW HVAC. Directions: Hwy 401 To Harris Ave. Left On Roberts St. Home On Right.